Adding renewable energy capacity improves your home’s resale value, while reducing operating costs. From an aesthetics point of view, we specify solar modules with the “black on black” composite for a pleasing “mirror” look. When you install a solar system, the federal tax credit is worth 30% of the system cost. The state tax credit can be as high as 25%. In addition, New York State has a direct incentive that lowers your system cost as much as 20%. Payback periods of just 4 to 6 years are very common now, after harvesting the benefits of these incentives. CEG is a Sungage Partner Installer. The Sungage Solar Savings Plan is appealing to an increasing number of homeowners due to the ease of applying. Many homeowners are cash flow positive from the first month on, while owning the system from the start. CEG is also a NYSERDA partner for the Green Jobs Green New York Finance program. This program can help you apply for up to $25,000 in low interest financing. Current rates are as low as 3.49% for 15 years for qualifying homeowners. We take great care in designing and installing your system, down the smallest details. In a good solar system, all the wires are properly managed and the rails sit above the roof to avoid trapping any water or debris. Numerous national solar chains offer homeowner 20 year leases or power purchase agreements. But these require contracts that lock the homeowner into paying for equipment that is permanently fixed to the home, but not owned by the homeowner. We strongly believe that the best value lies in owning your own system, whether you pay cash or finance the cost. With our approach, you can have the benefits of low or no upfront costs and the assurance that a high quality local installer designed and installed your system, tailored to your home. Most solar systems are installed on roofs. Solar systems have no moving parts and have warranties of 20 to 25 years. 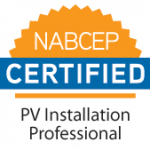 Therefore, we take a careful look at your roof when we assess your potential for a solar system. 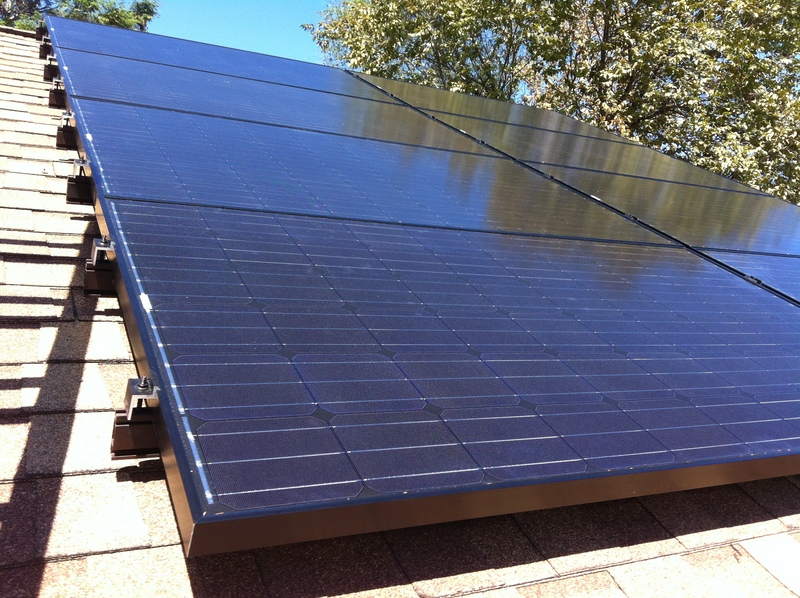 The newer your roof, the better, when it comes to adding a solar system to it. For a home that needs some roof work, which is not uncommon, we can work with our own certified roofing applicator, or with your roofer. Not every home is ideal for solar. Many of us have beautiful trees that shade us in the summer. We’ll be honest with you about the impact of your shade trees. The most common reason a home may not pencil out for solar is shading from trees or buildings. Trees are nature’s air conditioners. In our solar assessment, we show you exactly which trees are taking away your morning or cutting off your afternoon. For some clients with a little bit too much shade for solar electric, solar thermal, a more shade tolerant technology, may be a good fit. If so, we can give you a solar thermal assessment. Will solar add value to my home? Yes! When you add a solar system to your home, you increase the resale value of your home. A recent Department of Energy nationwide study showed that each dollar invested in residential solar increases the value of the home by $2 to $3. How will I know my solar system is working as promised? This dashboard shows your daily output in kilowatt-hours per hour for the past 7 days. You can customize your views according to your own preferences. Every system we design for residential clients comes with a web-based monitoring portal. You can access your system’s performance at any time from any web-enabled device. See how much electricity your system produced today, last month or since it was first turned on. Ask Croton Energy Group for a quote today!